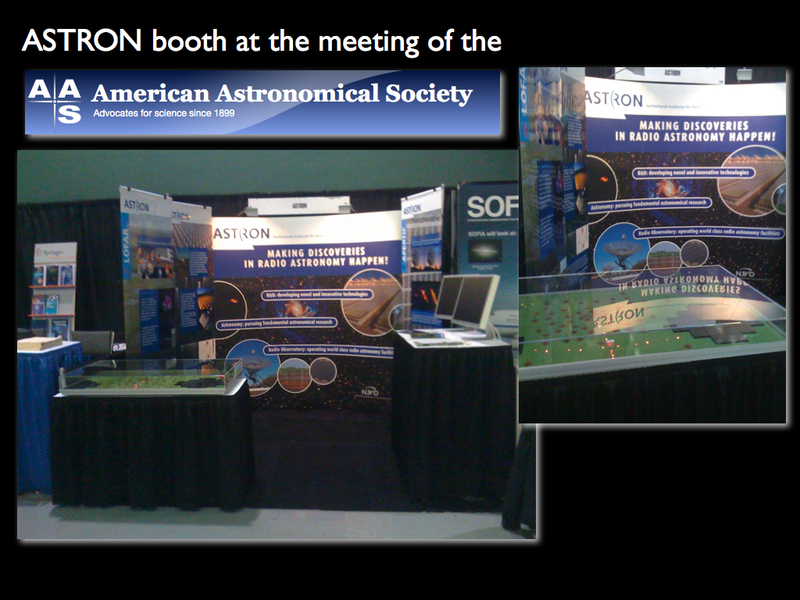 LOFAR seems to be well represented at the American Astronomical Society meeting which is happening in Seattle this week. The booth has been popular thanks to a wonderful model of LOFAR station in a typical Dutch landscape. And yesterday they made some live observations using several of the Dutch stations (and one in Germany) which you can watch in the below video.